Today we're going to drill through rock. We'll do it in hundreds of places around the globe with thousands of people who have the skills, the knowledge and the tools to do it right. We'll do it with an intense focus on safety. Today we're bringing new technology to market. We'll do it with products designed for drillers with their direct input. We're taking what we're learning while exploring the earth's surface and improving the world's drilling capabilities. Today we're celebrating the promotions, service milestones, awards, transfers and new assignments for hundreds of hard working, smart, passionate people as they continue to perform above and below the ground. We're opening new doors and sparking new ideas with the challenges that only our industry can provide. It won't be an easy day. It never is. But today, we're feeling pretty good about things. How about you? 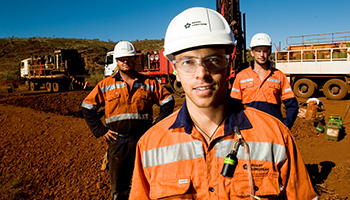 Take a few minutes today to learn about the career you can have with Boart Longyear.